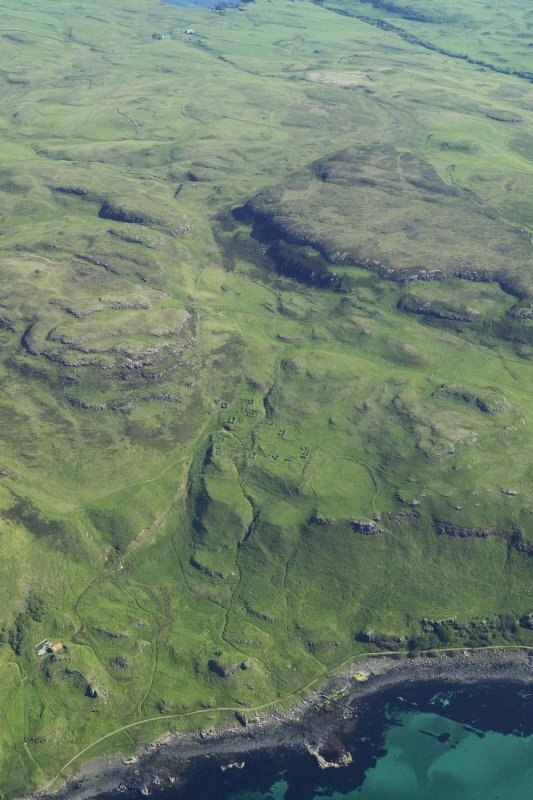 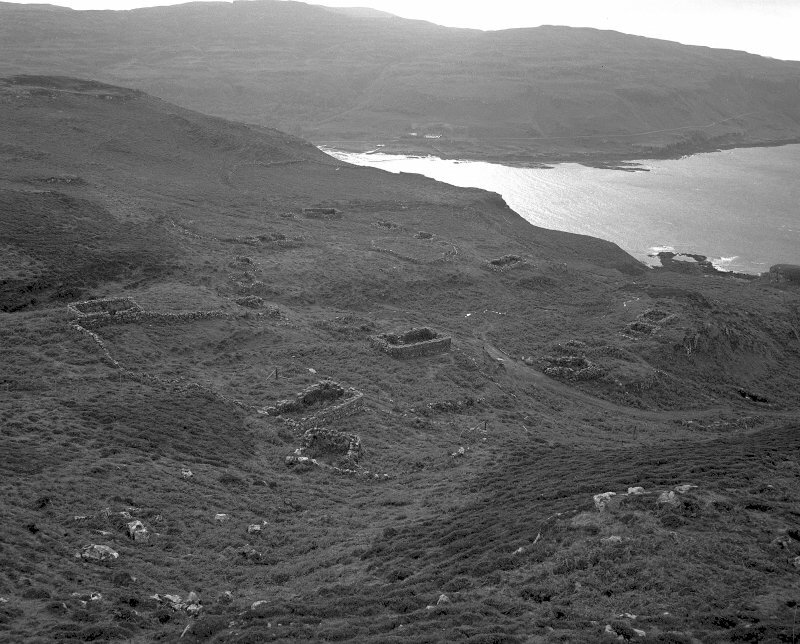 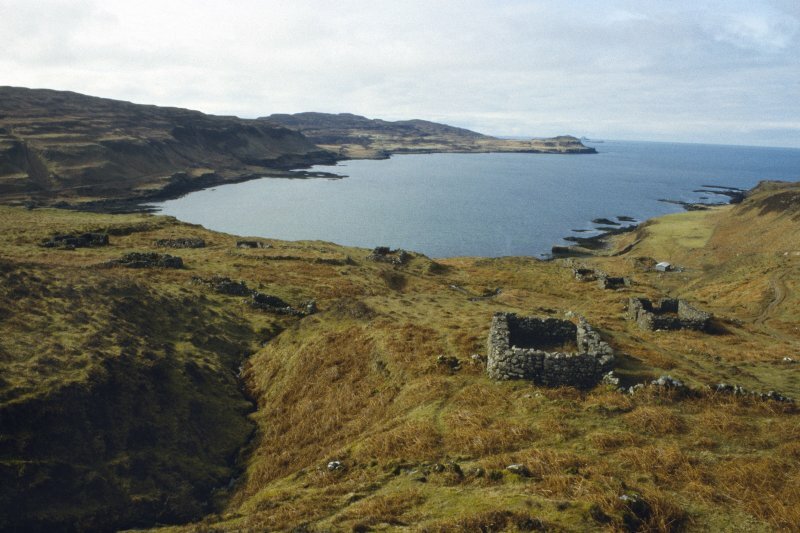 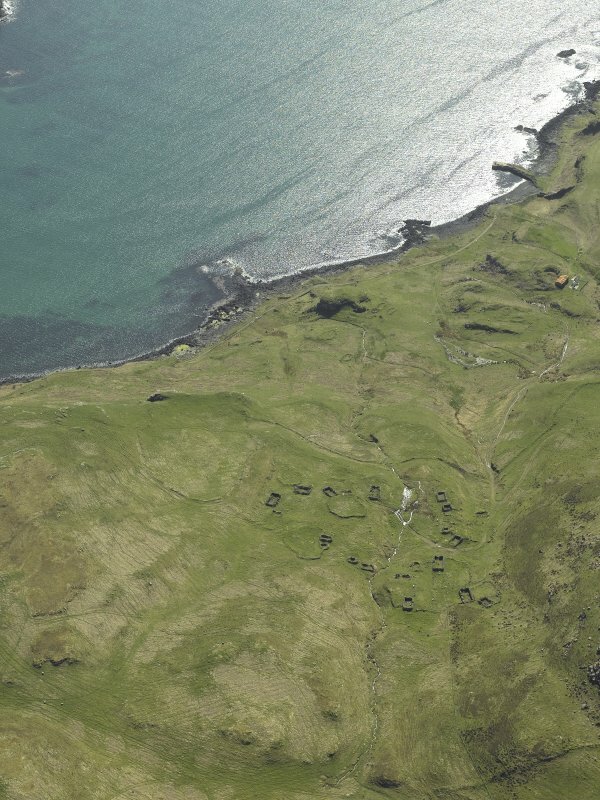 Oblique aerial view centred on the remains of the township, taken from the E.
Inivea township, Calgary, Mull; view from NW. 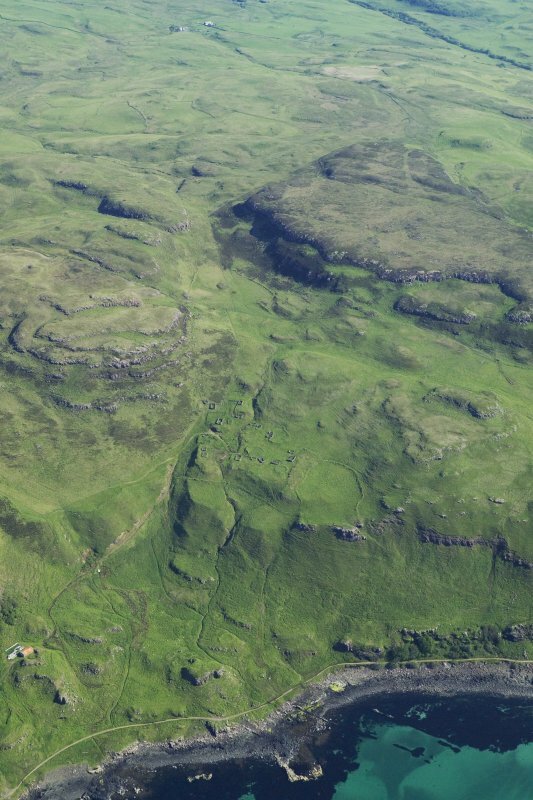 Oblique aerial view centred on the remains of the township with the remains of the dun adjacent, taken from the SE. 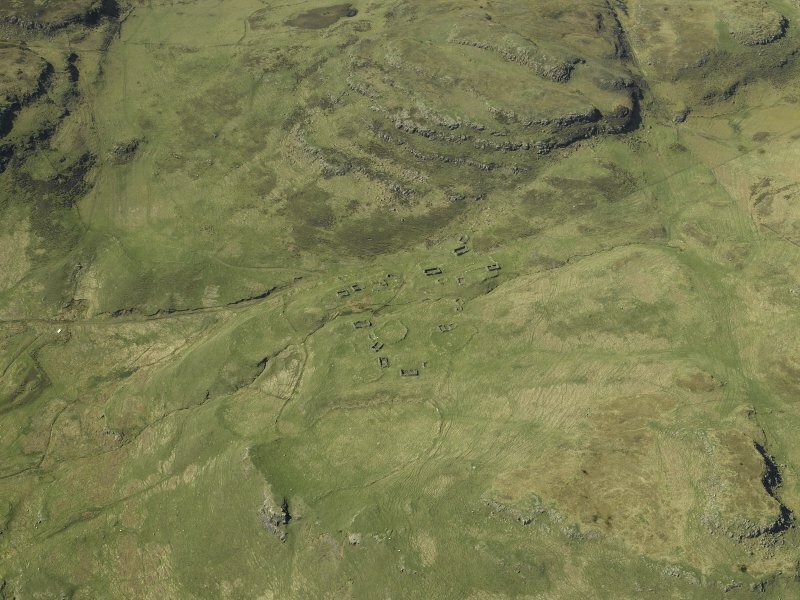 Oblique aerial view centred on the remains of the township, taken from the SE. 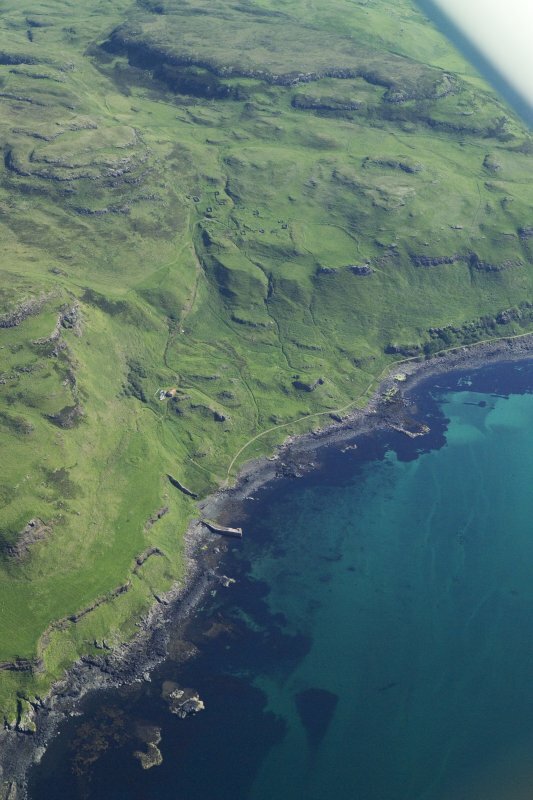 General oblique aerial view of the coast of Mull at Calgary, taken from the S.
General oblique aerial view of the coast of Mull at Calgary, taken from the WSW. 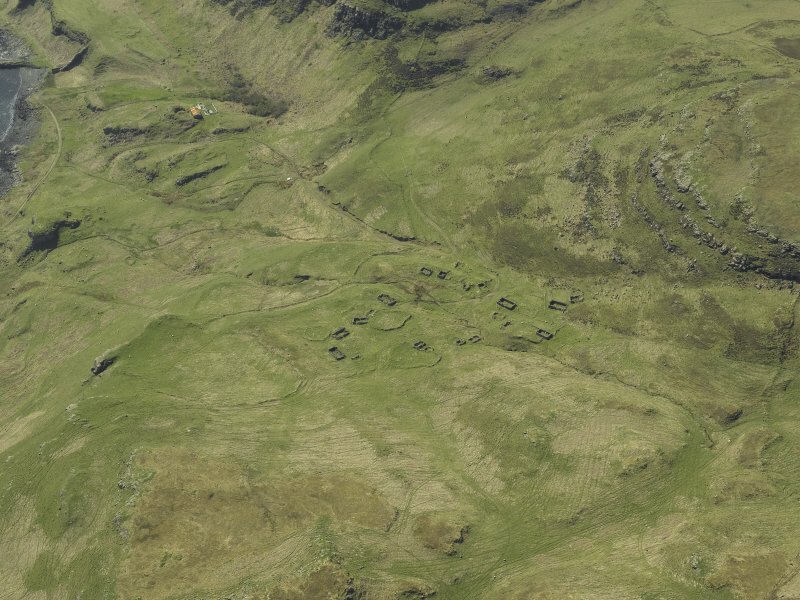 Mull, Calgary, Inivea Township. 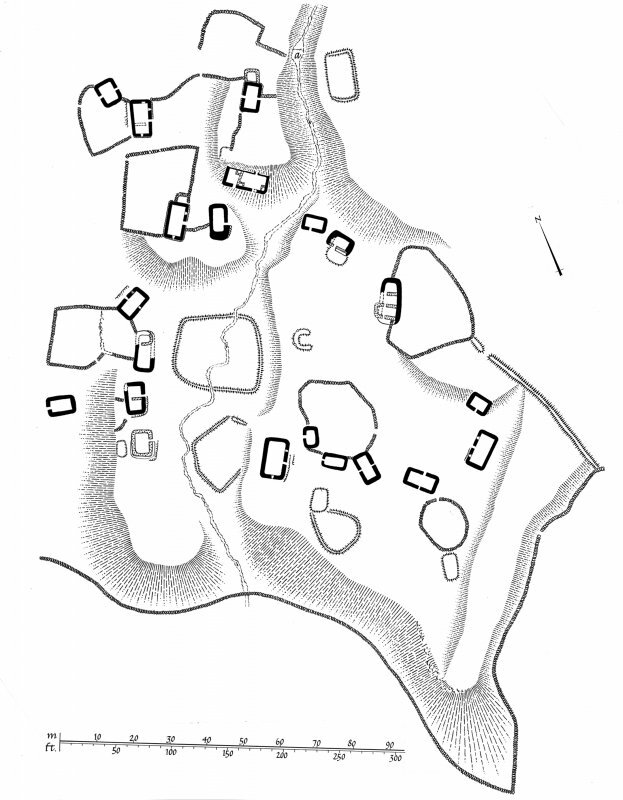 Digital image.